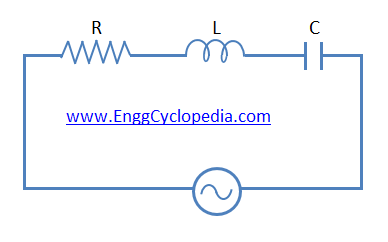 For any circuit impedance is defined as opposition to the flow of current in that circuit. 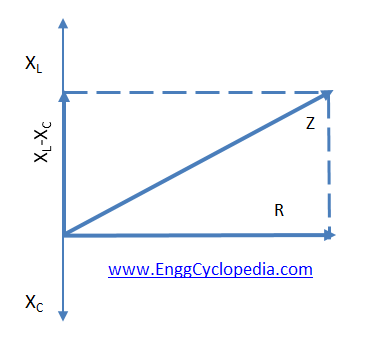 The unit of impedance is same as resistance i.e., (Ω). In a sense it is looked upon in the same way as resistance, but is slightly more complex than resistance since it depends upon frequency of the power. 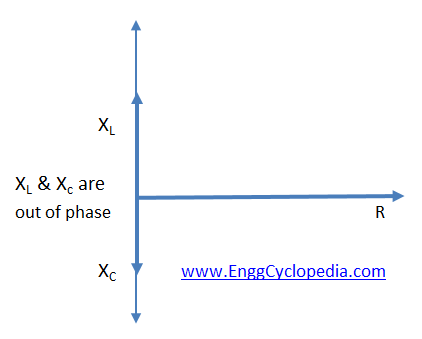 Unlike Resistance, Impedance is not a scalar quantity but a vector quantity. In any particular electrical circuit there can be resistive, inductive and capacitive components present in that circuit. The inductive and capacitive components offer inductive and capacitive reactance to alternating current. Reactance is also measured in Ohms (Ω). Now impedance of a circuit is the defined as opposition to the flow of alternating current, hence impedance (Z) of a circuit is the vector addition of total resistance and total reactance of that circuit. Here as XL and XC are equal and will cancel out each other rendering the circuit purely resistive.